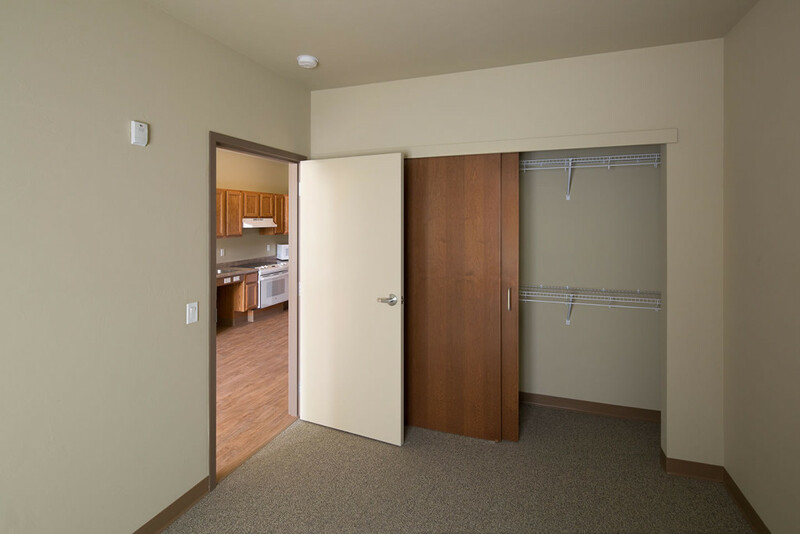 Across the country, an acute need exists for housing veterans who suffer from disabilities and homelessness. 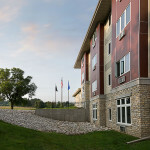 Abacus Architects designed Veterans Manor to serve that population in Green Bay, working with a developer experienced in specialized housing. 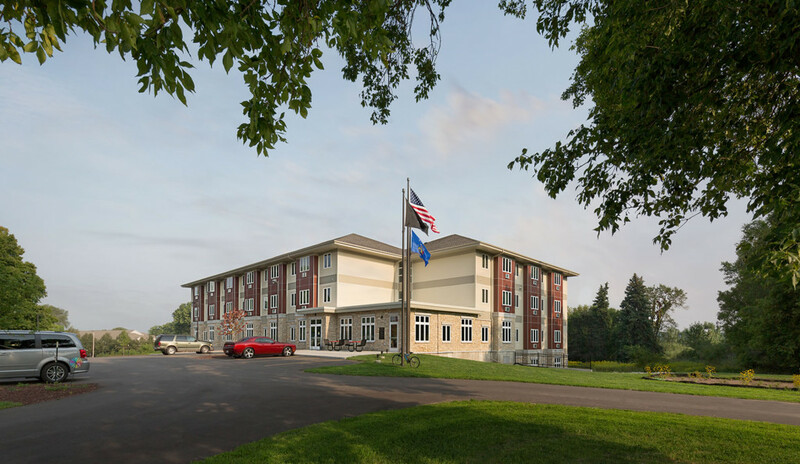 The 50-unit apartment building is set on a beautiful, five-acre site in a mixed-use neighborhood on the edge of Green Bay, conveniently located down the street from the new Green Bay Veterans Hospital and also nearby several parks. 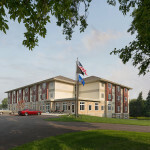 In planning the facility, Abacus had to take into consideration an old veterans’ healthcare building already on the property, its fate undetermined at the time of design. 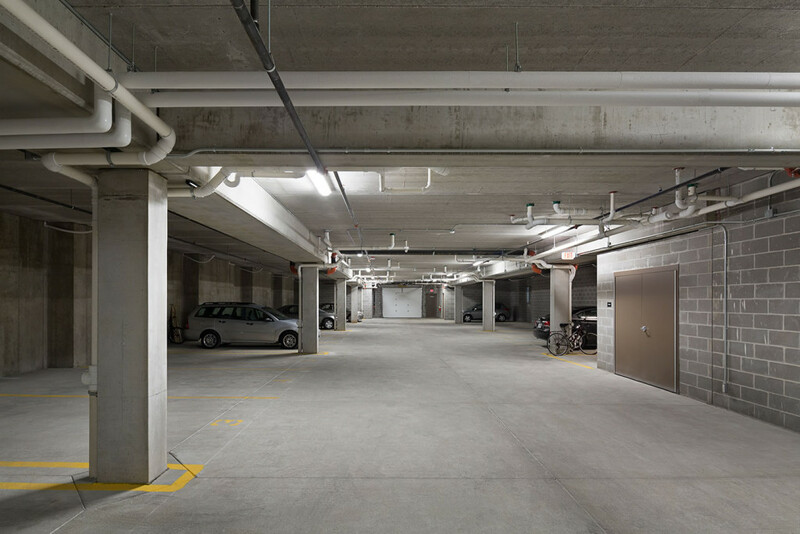 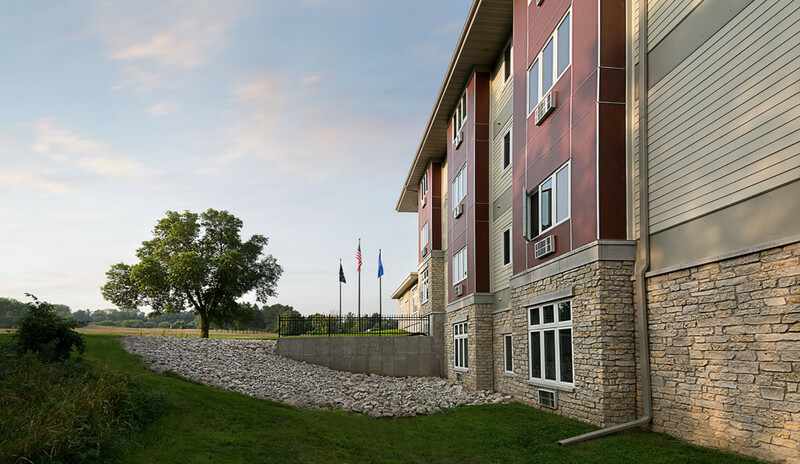 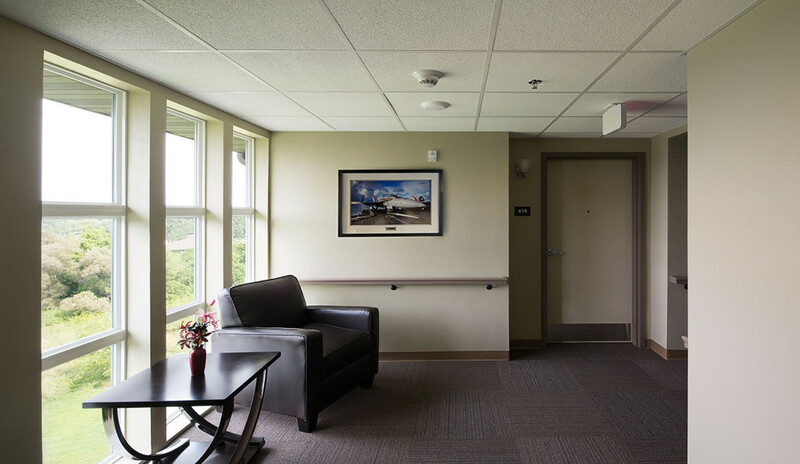 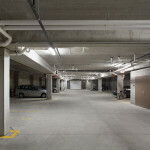 Abacus utilized the sloping landscape to advantage in giving Veterans Manor its own presence, situating three stories in front and a fourth, with underground parking and more units, at the rear by a running creek. 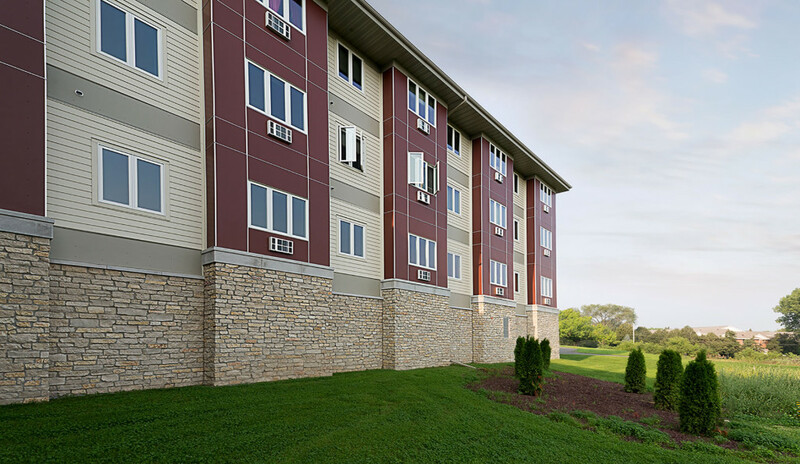 To harmonize with the neighborhood, Veterans Manor features a more residential style with pitched roof, a blend of siding and stone, and window bays. 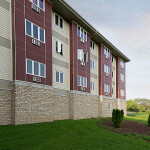 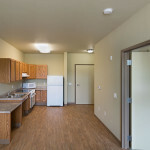 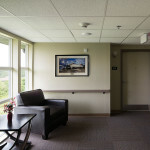 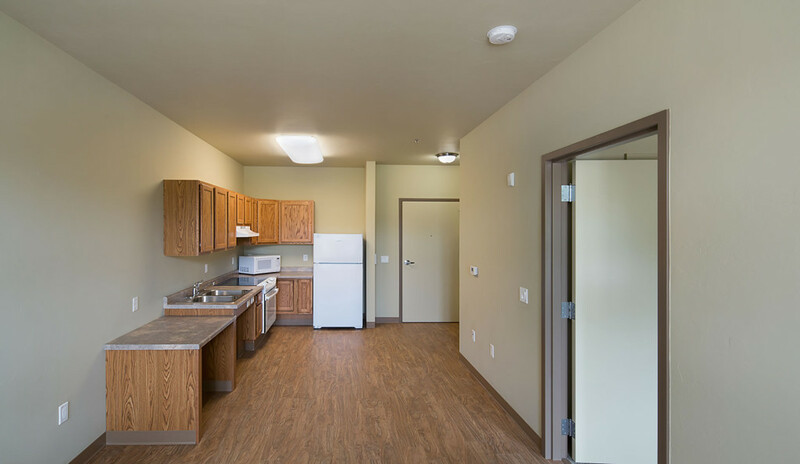 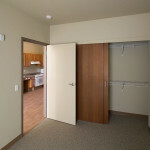 Each resident floor is equipped with an accessible laundry room, and multiple sitting areas with large windows looking over the surrounding landscape. 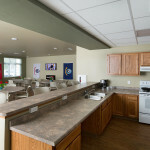 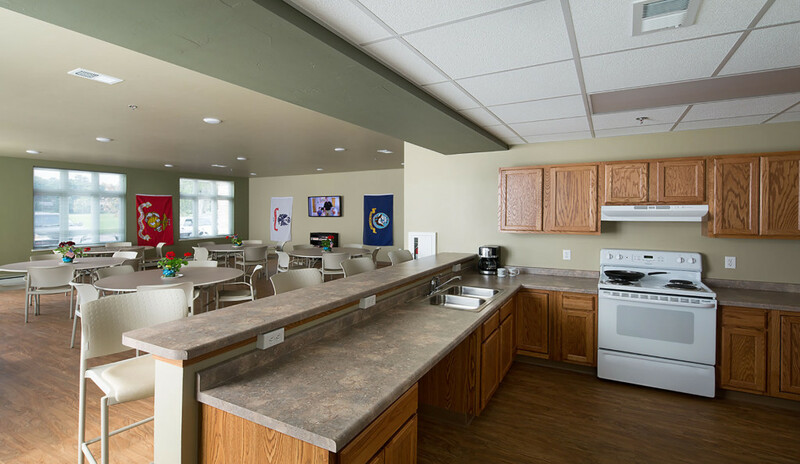 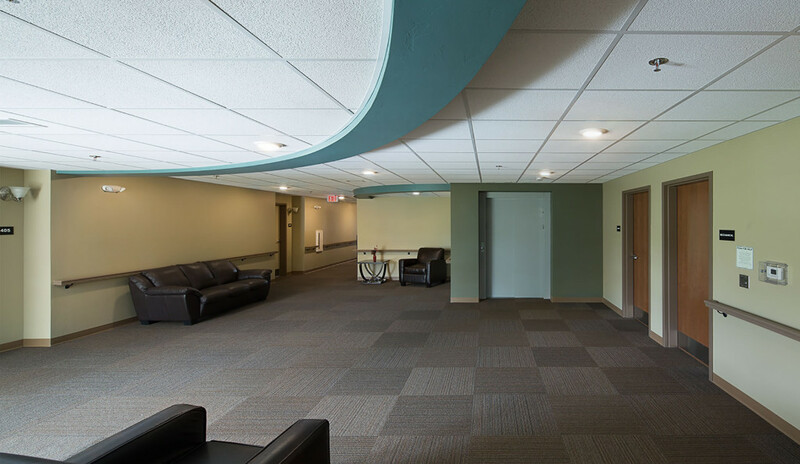 A central activity room on the first floor includes a warming kitchen for community gatherings and resident events. 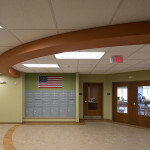 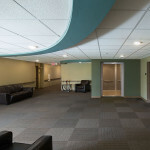 Inside, a curved soffit, painted in an accent color also reflected on the floor, highlights the main lobby and arcs around the activity room and computer lounge. 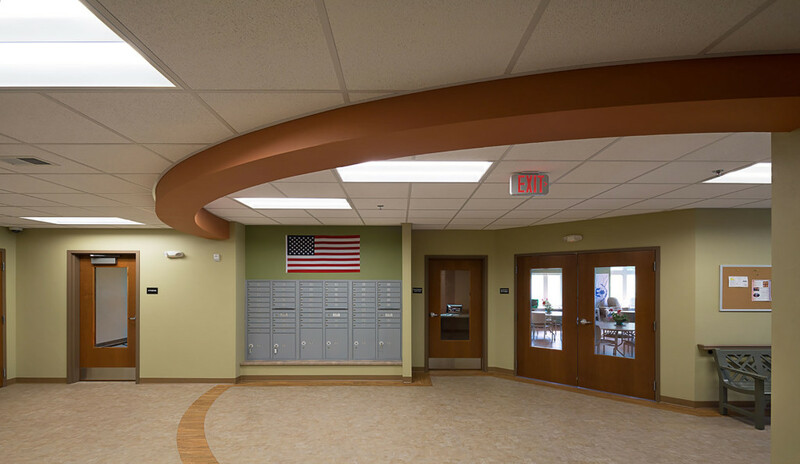 Curved soffits also define the elevator lobbies and sitting areas on the third and fourth floors. A color palette of earth tones complemented by blues and greens creates a soothing interior décor.